March 2015 Fish of the Month Entry - Toucan Salmon! 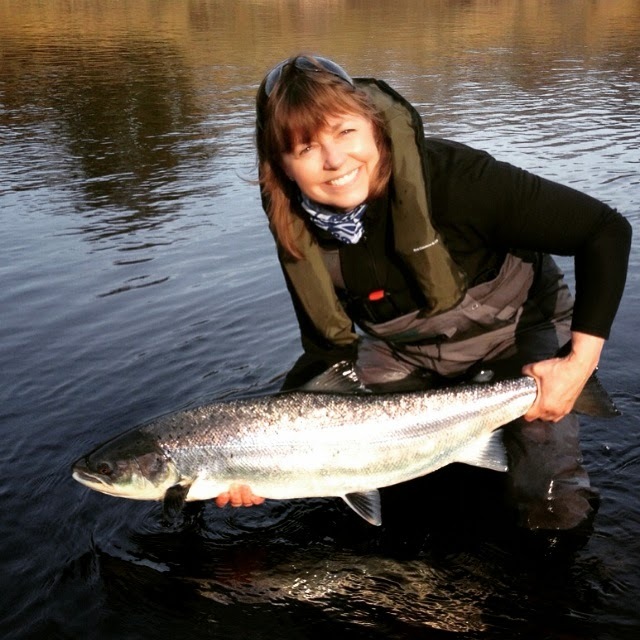 Anne Woodcock with a cracking sea-liced Springer from the river Tyne, caught on a Toucan fly. The fish stripped line off the reel down to the backing on three occasions before being landed and safely released!